Engaging Students - probably the most important, and sometimes most difficult, thing teachers need to do. If the student isn't engaged, they will have a hard time learning in that class. This is also true about teachers and professional development - if they aren't engaged, they won't get anything out of the training. The tips and resources below can be applied to both students and teachers. The teacher (or presenter) needs to be enthusiastic, knowledgeable, and know their audience so that they can reach their audience. Technology should be used and students/participants need to have a chance to collaborate with others in the class and work together. Real world applications of the concepts with examples, projects, relevant content that addresses their needs, lots of visuals and multimedia resources, lots of different activities (do not limit to just a lecture) are all important. In addition, some choice needs to be available for the students. Let them choose a topic to learn about. Let them choose how they want to demonstrate their learning. Remember that your students have other issues in their lives that may distract them. Try to find things they are interested in and connect your lesson to these things. Be creative. Here is a great article from Edutopia about engaging students: Kids Speak Out on Student Engagement - every teacher should read this. How Do We Motivate Students in School? 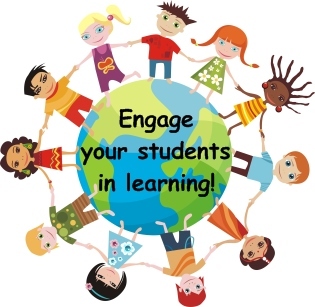 Engage your students/audience and you will help them learn and remember what they learned.